This fruit tea is of slight sweet taste with a bit of acid as grapes, hint of dry apple taste. TeaVivre’s fruit teas make for great, low-calorie, caffeine-free drinks for any time of day. 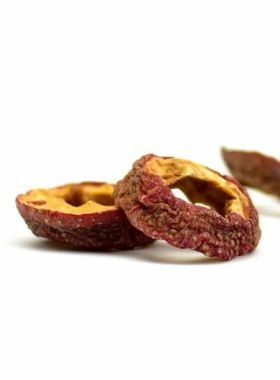 Made from carefully picked flower petals and dried fruit and berries, they all have high levels of vitamins and minerals and, most importantly, taste and smell wonderful! These teas are excellent served both hot and iced. 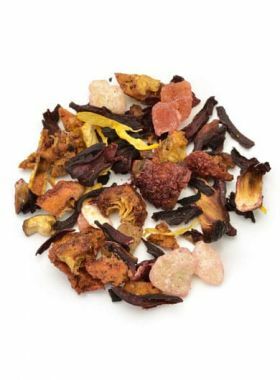 All of our fruit teas are made without any added sugar, and as such may have a natural slightly sour taste. Sugar can be added to your preference to change this, or better yet, a small amount of honey will also do the job.